Midfielder Scott Donnelly has returned to League Two side Aldershot Town on a short-term contract. The 24-year-old, who has been training with the Shots during pre-season, was a free agent after leaving Swansea earlier this summer. Donnelly joined the Swans two years ago after scoring 20 goals in 88 appearances for Aldershot during two and a half years at the EBB Stadium. 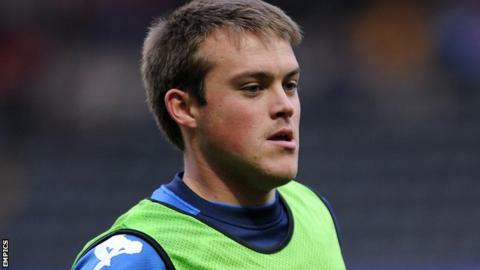 The former QPR trainee only played two games during his time with Swansea. He had two separate loan spells with Wycombe Wanderers, the second of which was cut short by a cruciate ligament injury in 2011. Shots boss Dean Holdsworth said: "Scott provides us with an attacking option that we need in the squad and provides a healthy competition for places."